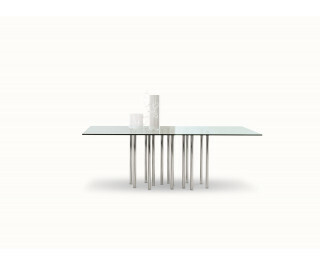 This table seems to have all the harmony and dynamism of a transparent body in motion. Mille is a fixed table, available in different shapes and sizes. The legs, available in variable quantities depending on the size of the table top, provide maximum stability and visual consistency.